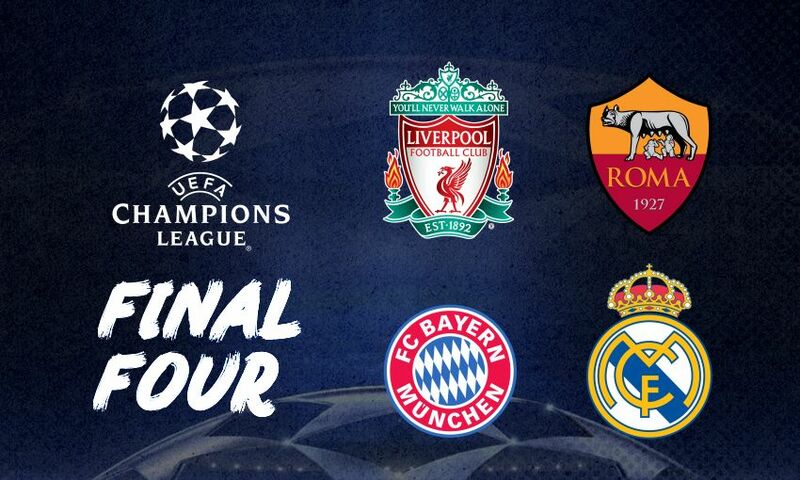 Liverpool's three possible opponents in the Champions League semi-finals have been confirmed: AS Roma, Bayern Munich and Real Madrid. The Reds booked their place in the last four of Europe’s elite club competition by beating Manchester City 2-1 on Tuesday night to complete a 5-1 aggregate success. Elsewhere that evening, Serie A side Roma clinched a spot in the penultimate round of the tournament with a 3-0 victory over FC Barcelona which edged them through courtesy of the away goals rule. And the line-up for the semi-finals was sealed on Wednesday as the holders, Real, dramatically staved off a Juventus comeback to claim a 4-3 aggregate win and Bayern eliminated Sevilla by a score of 2-1 over two legs. The last-four draw takes place at UEFA headquarters in Switzerland at 12pm BST on Friday, with the games to be played on April 24/25 and May 1/2.